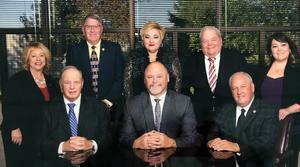 Download a copy of the 2019 RCS Fact Book & Annual Report to learn more about the district's demographics, growth, academic performance, plans for new schools, and more. Makenzie Bailey and Tyler Erdman earned perfect scores on the assessment, and Siegel High School recently honored 139 students who earned the ACT WorkKeys National Career Readiness Certificate. 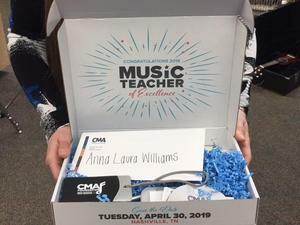 Siegel Middle band instructor Anna Laura Williams was surprised by the announcement that she is this year’s recipient of the CMA Foundation’s Teacher of Excellence Award. 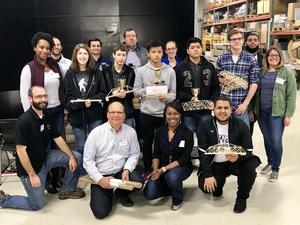 A trio of Blackman High School students individually placed in the Top 5 of a regional bridge building competition at Vanderbilt University. Pounders advanced to an international competition taking place April 6 in Baltimore, Maryland.